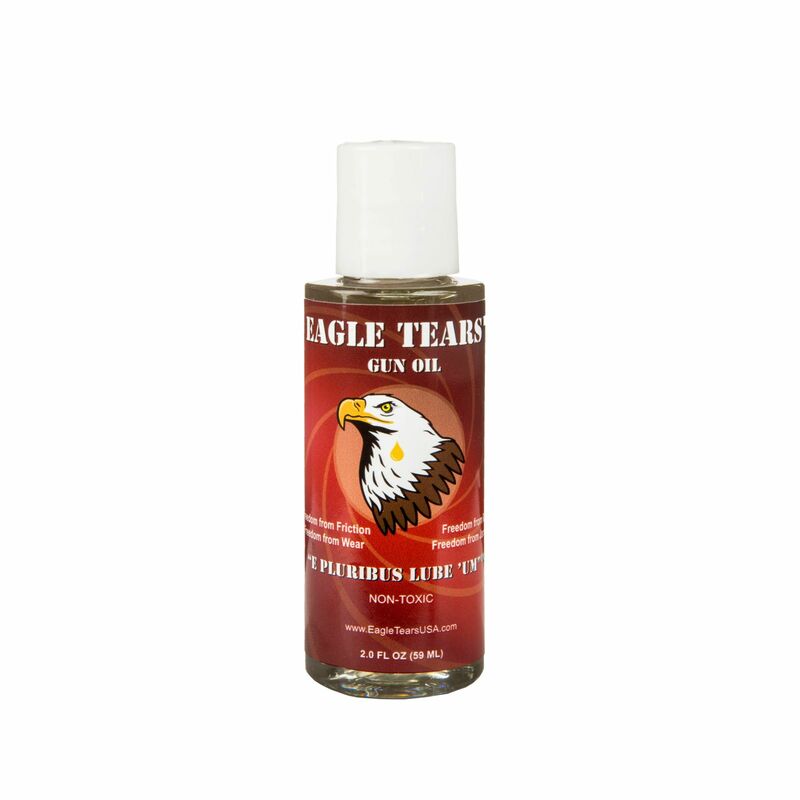 Eagle Tears is formulated to clean better, stand up to higher temperatures, lubricate better, shed dust and dirt better, and protect your firearms longer than any other product on the market. We do this with a combination of completely NON-TOXIC, NON-CARCINOGENIC and PLEASANT SMELLING food grade oils. Eagle Tears is not only non-irritating to the eyes and skin, it may even be ingested in small amounts without adverse affects (not recommended because of the chance of aspiration). Check out the video of head to head comparisons with other well known products. We not only use the Eagle Tears Products on our guns but on rusty tools, it is amazing. The results were amazing and saved us from buying new tools. Great product!